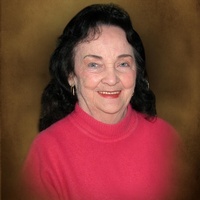 SANDY HOOK - Theresa "Sally" Louise Lorenzo Magda, 83, of Sandy Hook, passed away in her home on Tuesday, August 28, 2018. Theresa was born in Bridgeport on February 14, 1935, "Our Valentine", to the late Louis "Ono" J. Lorenzo and Mildred "Honey" (Drew) Lorenzo. She lived for her children and her pets, her favorite being German Shepherds, birds, and squirrels. Theresa spent most of her years bartending and waitressing at Lorenzo's Restaurant. She loved fishing, cooking, boating, and traveling - and shopped til she dropped. In her earlier years, you would often find her traveling to the Caribbean, Florida, and California. She loved spending time with her family and friends and was always cooking for them to show her appreciation, saying, "the way to one's heart, is through the stomach." She will be missed by many, but mostly by those who called her Mother, Mommy, Mom, and Nana. "Sally" will be sorely missed by her son: Donald "Sonny" Edwards and his wife Linda (Gustafson); her three daughters: Donna Edwards, Linda Edwards, and Michele Magda; and Son-In-Law: James Schettino. She also leaves her two Granddaughters: Stefanie Gillespie and Sara Edwards; two Grandsons: Dustin King and Codie King; Great-Grandchildren: Braylon and Stella Gillespie; her Niece and God-Daughter: Laurie McCullum, Sister: Jean Lorenzo; Sister-In-Law: Joyce Lorenzo and Bosco: Golden Retriever and her best friend. Theresa was predeceased by her brother: John "Teedy" Lorenzo. Family and friends are invited to attend a visitation from 4:00 PM - 6:30 PM on Tuesday, September 4, 2018, at the Carpino Funeral Home, 750 Main St. S., in Southbury. A memorial service will immediately follow in the funeral home, at 6:30 PM. Burial will be private and at the convenience of the family. To leave a message of remembrance, please visit www.CarpinoFuneralHome.com.